NATIONAL BESTSELLER - From the New York Times and internationally bestselling author of The Little Paris Bookshop, an extraordinary novel about self-discovery and new beginnings. Marianne is stuck in a loveless, unhappy marriage. After forty-one years, she has reached her limit, and one evening in Paris she decides to take action. Following a dramatic moment on the banks of the Seine, Marianne leaves her life behind and sets out for the coast of Brittany, also known as "the end of the world." Here she meets a cast of colorful and unforgettable locals who surprise her with their warm welcome, and the natural ease they all seem to have, taking pleasure in life's small moments. And, as the parts of herself she had long forgotten return to her in this new world, Marianne learns it's never too late to begin the search for what life should have been all along. 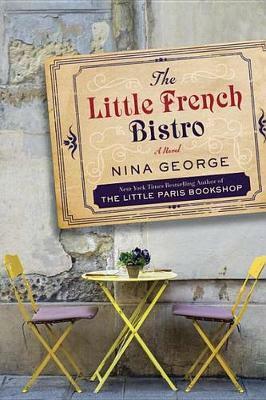 With all the buoyant charm that made The Little Paris Bookshop a beloved bestseller, The Little French Bistro is a tale of second chances and a delightful embrace of the joys of life in France.